Through the development support from Amazon, Airbuy will get access to AWS's state-of-the-art development technology. Local fintech start-up Airbuy has secured development support from Amazon Web Services (AWS) worth R180 000. Airbuy is an online payment platform that allows African consumers to make payments online without the use of a credit or debit card, avoiding the risk of exposing their personal bank details. Since it doesn't require users to put in their banking details, the start-up uses digital tokens known as Airbucks, which allow users to make safe payments on participating e-commerce sites. The development support from Amazon came about through Airbuy's affiliation with DEMO Africa, an annual event that showcases groundbreaking start-ups in the tech space across Africa. Airbuy was officially launched at the event and came out as one of the top finalists, notes the start-up. The Tshimologong-based start-up is the brainchild of three tech entrepreneurs: Tshepang Kubo - CEO; Kabelo Twala - CTO and Njabulo Makhathini - head of business development. The co-founders are looking to partner with banks and mobile networks to offer more financial products and services to the African continent. Twala explains: "We are very excited about the support from Amazon, especially right now since we're putting a lot of work into our backend infrastructure. The development platform comes in handy, especially the tools which provide for the backend part of the development of our product such as cloud back-up recovery, hosting and analyst reposts, just to name a few. It would be a mission having to develop most of the technology from scratch." 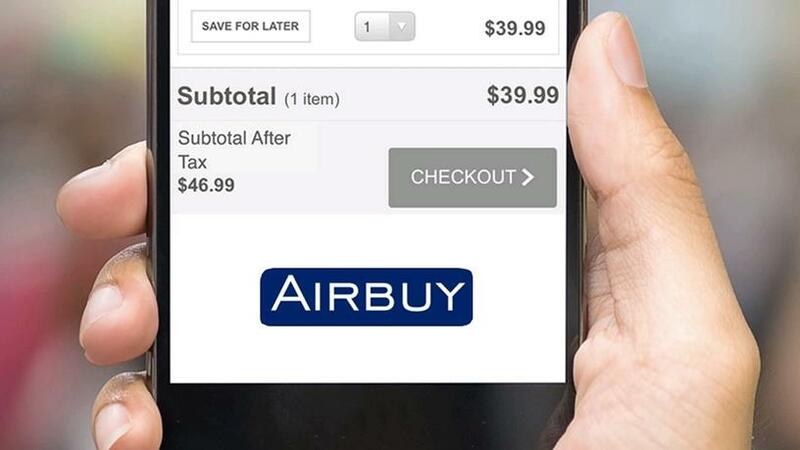 Through the development support, Airbuy says it will receive access to AWS's state-of-the-art development technology, which includes cloud storage, data analysis reports and back-up recovery technologies, enabling the start-up to advance the services it offers to its e-commerce clients. "We believe in partnerships and collaboration, we believe partnerships are essential if you are building something that will make a great impact in the world, which is what we strive for at Airbuy," Kobo points out. "Our doors are always open to collaborating and we hope to work with more organisations across Africa and internationally." The start-up currently has a footprint in SA with 56 e-commerce sites that are currently integrating onto its platform. "We are aiming to increase this number in the next six months, signing up more e-commerce platforms and in-app purchase for gaming apps in South Africa and other African countries by plugging into start-up networks and tech hubs across Africa," notes Makhathini.